Haythornthwaite, C., & Andrews, R. (2011). E-learning: Theory & Practice. 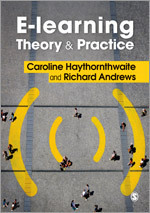 Through twelve well thought out chapters, Haythornthwaite and Andrews outline how teaching practices “are affected and (potentially) transformed with online, anywhere, anytime, anyone connectivity, and how newer practices overlap with and affect older practices” (p. 10). Each chapter includes a comprehensive summary as well as a list of supplemental readings for those whose interest has been piqued by chapter content. Outlining what they consider to be the major features of computer-mediated learning, the authors discuss both the potentially positive and negative influences of anonymity, asynchronicity, mobility, connectivity and rapidity. Further, they provide real-world examples and practical suggestions for managing those features in a purposeful way to improve the online learning experience. Management of the major features, they argue, is entirely dependent on awareness and purposeful instructional decision-making. 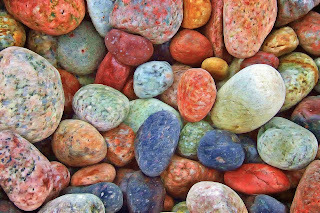 In presenting the argument that e-learning changes the nature of learning by making the process a more democratic and community-based activity, the authors challenge conceptions and invite us to consider new theories of learning-specifically a new theory of e-learning. The book is a nice balance of educational philosophy, theory building and practical examples and suggestion. Topics range from developing epistemic communities of practice through to practical suggestions on creating e-learning communities, dealing with problem students from a distance, moving from literacy to discourse and managing e-inclusion and exclusion. Over all, it is a useful resource for both e-novices and those who are more experienced, and is also thought provoking for teachers in face-to-face environments. I've been looking at the whole content of your blog that explain's well regarding the E-learning process and it seems that I get some usable source of information that is very important for me to know. All of the tips you provide was perfect used for taking up an E-learning study. best essay writing service reviews for students.